Since then, many, including us, have been wondering what the possible application of voice recognition technology would be on Facebook. Well it seems that the first answer came from Messenger. As part of its latest update of Messenger, Facebook has begun testing a new voice transcription feature that allows users to read automatic transcripts of voice message left by their friends. 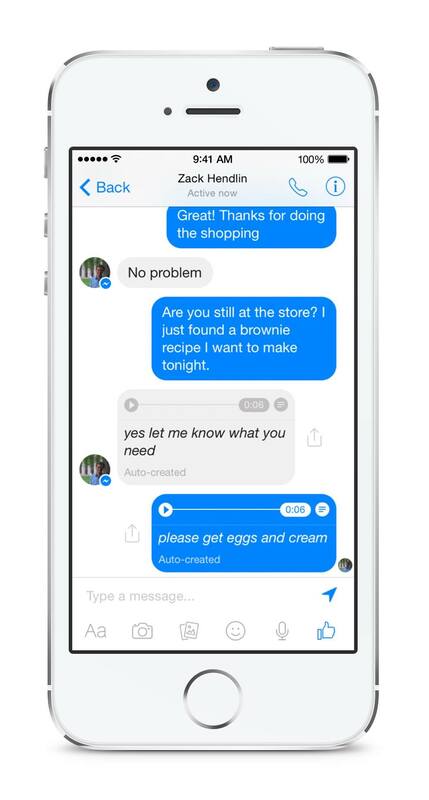 #Facebook Messenger will soon send you automatic transcript of voice messages. As per his announcement, we understand the feature is being tested among a small group of users before its official launch, soon I presume. Facebook Messenger has allowed users to send and receive voice messages since a couple of years ago, without really being of great interest to users. The new in-development feature could potentially bring it back in the spotlight, as the app reaches now over half a billion users worldwide.